George Noory, host of the nationally syndicated program, Coast to Coast AM, says if he weren’t a national radio talk show host he’d be in politics. Heard by millions of listeners, Coast To Coast AM airs on approximately 564 stations in the U.S., Canada, Mexico and Guam. While hosting The Nighthawk, a wildly successful, late-night program on KTRS in St. Louis, Noory was recruited by Premiere Radio Networks to guest host on Coast to Coast AM with Art Bell. He became the permanent host of the phenomenally successful over-night program on January 1, 2003, following Bell’s retirement. Since then, Noory’s audience has continued to grow. Noory released his first book in 2006. Worker In The Light: Unlock Your Five Senses And Liberate Your Limitless Potential, co-written by best-selling author William J. Birnes, is Noory’s revolutionary guide to spiritual enlightenment, human empowerment, ultimate productivity and absolute happiness. Noory and Birnes co-authored a follow up in 2009 entitled Journey to the Light, in which they present amazing first-hand accounts of how ordinary people changed their own lives, transcended their doubts and fears, and unlocked the secrets to their spiritual growth. 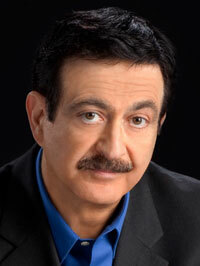 In October 2011, Noory released his third book, Talking To The Dead. Co-written by Rosemary Ellen Guiley, a leading expert on the paranormal and supernatural, the book explores the colorful history and personalities behind spirit communications, weaving together spirituality, metaphysics, science and technology. He was born, raised and educated in Detroit. He has three children and six grandchildren. He served nine years in the U.S. Naval Reserve.